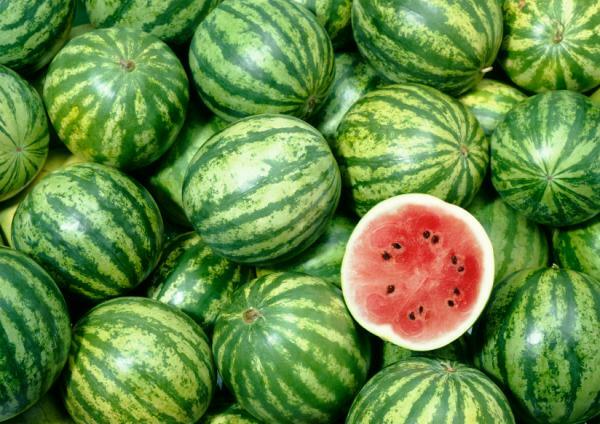 You may have not known this, but watermelons have genders. 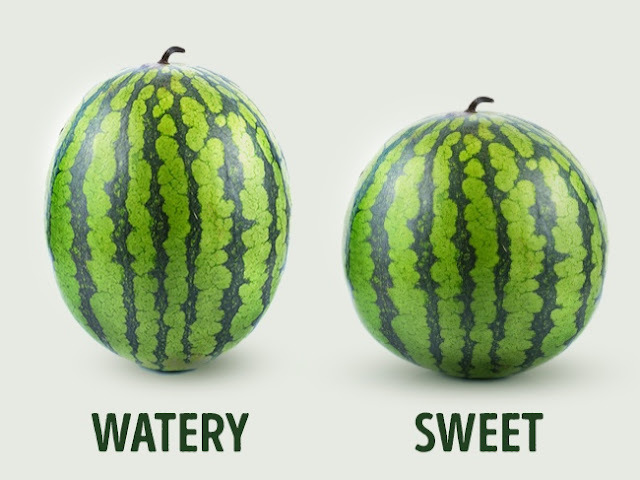 The ‘boy’ watermelons, are taller and more elongated, while the “girl” watermelons are more round and stout. 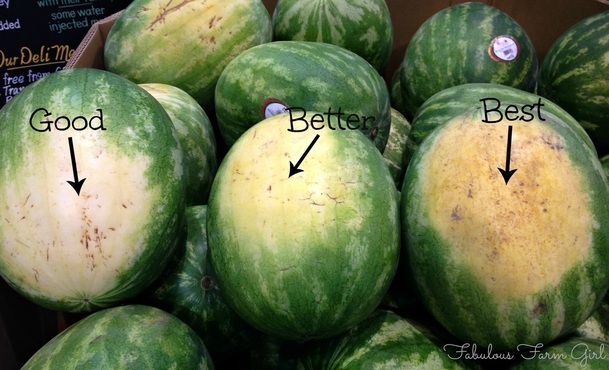 The boy watermelons are more watery, while the girl watermelons are sweeter. 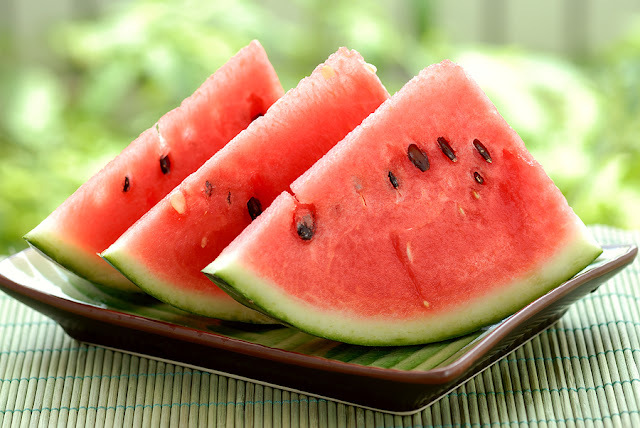 The tail of a watermelon indicates its ripeness. 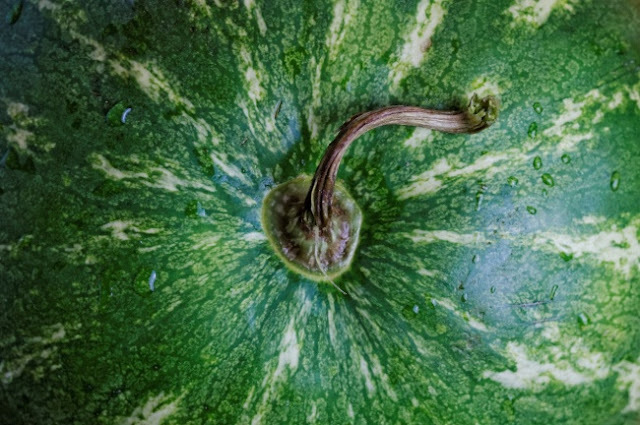 A green tail indicates that it was picked too soon and will not taste as good. 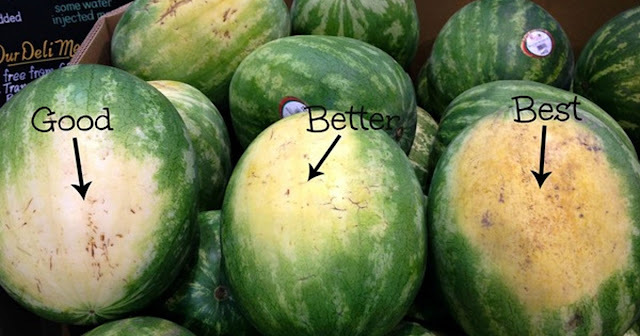 Go for the watermelons that have dried tails for the best taste. 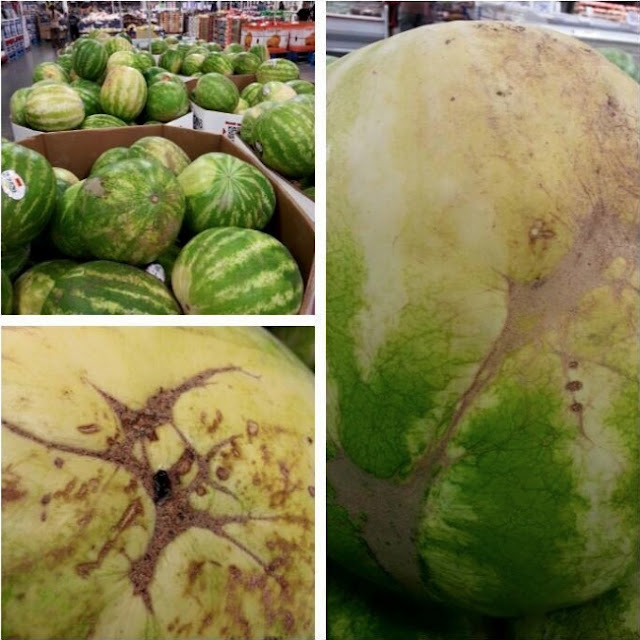 You can’t judge a book by its cover, but you can judge a watermelon by its shell.